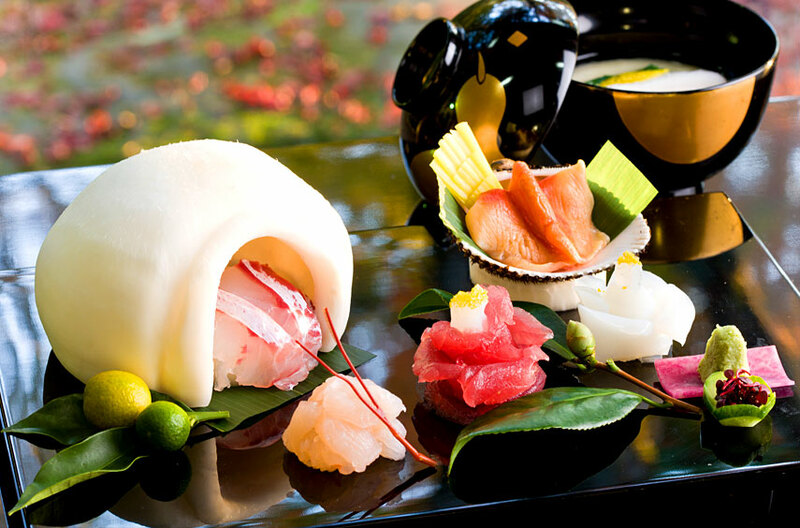 Tsukihitei is a Japanese-style ryokan where guests can enjoy authentic Japanese Kaiseki cuisine that has been listed in the Michelin Guide. 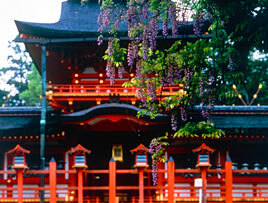 Guests at our ryokan can experience the traditional beauty of Japan surrounded by the Mt. 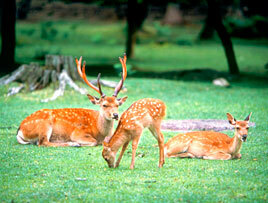 Kasuga Primeval Forest, a World Heritage Site. Enjoy the chirping of birds and the sound of the flowing river in this quiet and secluded place. 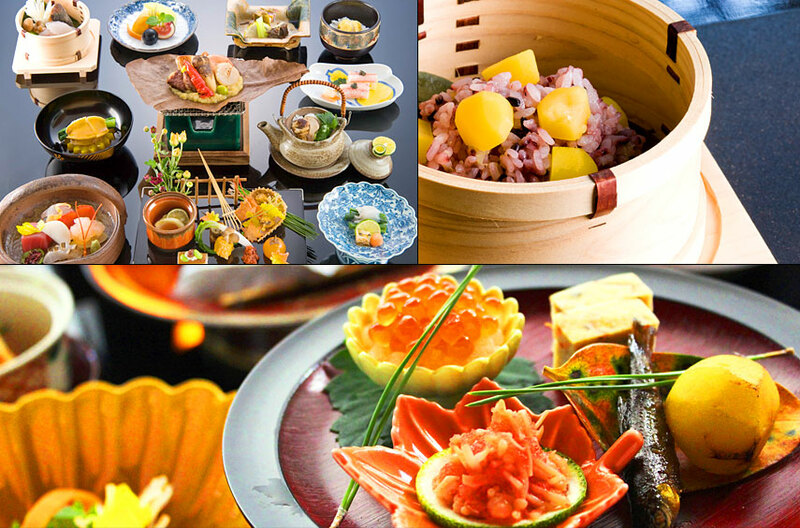 Our ryokan is approximately 80 minutes away by the limousine bus from Kansai International Airport to Kintetsu Nara Station and then an 10-minute taxi ride. 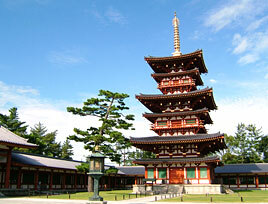 Our ryokan is located near popular sightseeing destinations such as Nara Park and Toudai-ji Temple. 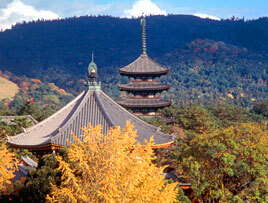 Visiting Kyoto or Osaka is also convenient. with the tastes of the season. 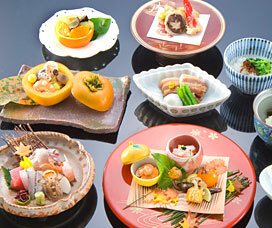 Select from either type of Japanese cuisine. 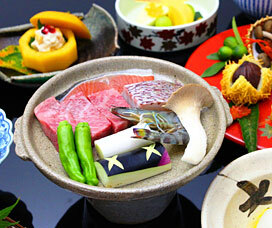 We offer Chagayu, which is a traditional dish from Nara. 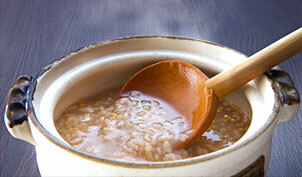 We can also prepare white rice. We provide heart-felt hospitality to our guests who stay in our three rooms only each day. 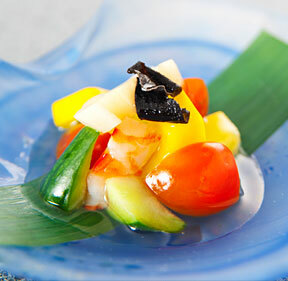 Cuisine is served in private rooms (table and chairs are available). 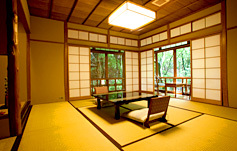 The annex Yanagi is a serene location. Enjoy the chirping of the birds and sounds of the flowing river nearby. 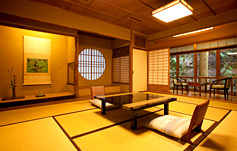 Hagi is our furthermost room at our ryokan. Fully experience the peacefulness in this room. 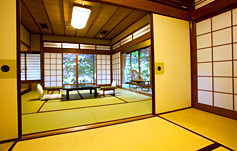 Wakaba is a slightly larger room where you can relax. *Two private baths are available. 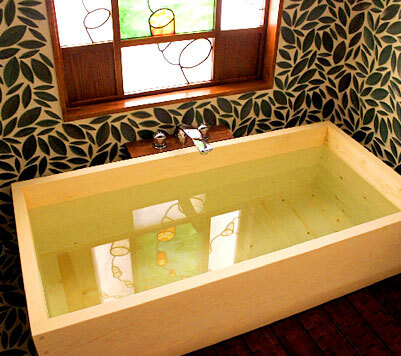 This bath tub is made of Japanese cypress from Nara Prefecture and the room is filled with the feel of lush greenery full of vital energy. 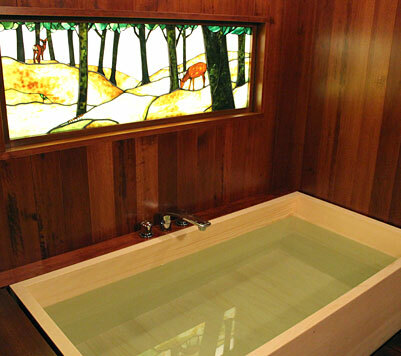 This is a very special private bath with the ceiling, floor and walls all made of natural wood with the deer from Nara Park as the motif. 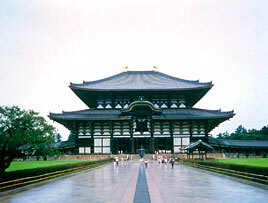 Even today, a number of old shrines and temples with a long history remain in Nara that has excellent cultural assets. 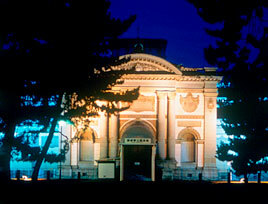 Please take a taxi as it is an approximate 10-minute ride from the Kintetsu Nara Station. The following are frequently asked questions from customers. Do you have a gift shop or vending machines? 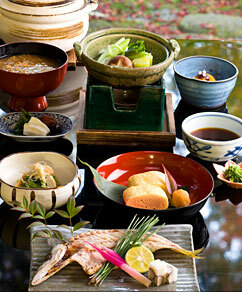 We do not have any at our ryokan or nearby. 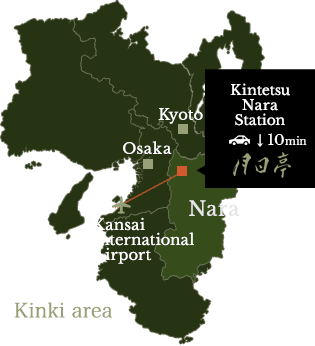 Can I walk from the Kintetsu Nara Station? 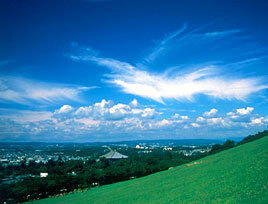 It takes approximately 40 minutes to walk from the station. 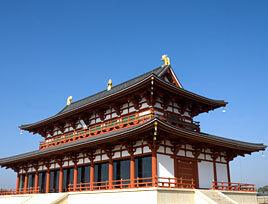 Our ryokan is located in the Mt. Kasuga Primeval Forest and once the sun sets the area is pitch black. We recommend arriving by taxi. Do you have any beds? We only have futons available. Can we change the number of people in our party on the day of our stay? Because of breakfast and dinner preparations, the number of people staying cannot be changed on the same day. © 2016-2019 Tsukihitei. All Rights Reserved.